Eric Laux (Michigan): Beginning his comedy career in 2010 as president of the standup comedy group at University of Michigan, Erich has become a well-known comic across the state; he’s performed at Gilda’s LaughFest in Grand Rapids, Stoop Fest in Lansing, and Motor City Comedy Festival. Nowadays, Erich travels all over North America performing at festivals — such as Whiskey Bear Comedy Fest in Columbus & Park Slope Comedy Fest in Brooklyn— and at any club, bar, or basement he can find with a microphone. Chloe Holmes (New York City): Chloe is a story-based, often self-deprecating stand up comedian living in New York City. She hosts a weekly show Mothballs at the People’s Improv Theater, and also produces two monthly shows, Laugh Through the Pain, a stand up show about making jokes out of the sadder things in life at Q.E.D in Queens, and Bro! Comedy, an all-female show at Fresh Salt Bar in Manhattan. Chloe most recently headlined a show as part of the International Lady Laughs Festival in Madison, WI. Tara Brown (Charlotte): Tara has performed in comedy clubs and venues across the country, and was a winner of the “Fight Night” and “Comedy Battle” competitions at The Comedy Zone – Charlotte. In addition, she was named as a Super Finalist for Jeanne Robertson’s “Comedy with Class” Humor Competition, and is a CrowdPlay Events Resident. Tara has opened and featured for national touring comedians, and has performed at corporations and for ministry organizations. She is also the producer and host of a Clean Comedy Brunch series at The Comedy Zone – Charlotte. Tara’s comedy style, which can be enjoyed by the whole family, is clean, personal and observational. A native of Brooklyn, New York, Tara Brown now resides in Charlotte, North Carolina. George Chen (Los Angeles): George ran the weekly comedy showcase The Cynic Cave at Lost Weekend Video in San Francisco. Now based in Los Angeles George runs a monthly show at Giant Robot Gallery. He has performed at Sled Island Festival in Calgary, Rogue Island Comedy Festival, Nevada City Film Festival, the SFMoMA, Yerba Buena Center for the Arts, as well as multiple appearances at SF Sketchfest and Put Your Hands Together. Chen appeared on HBO’s Looking, worked on the EquiTable app, and co-hosts the Sup Doc podcast. Evan Pittfield (Charlotte): Evan is energetic yet lazy, analytical yet relatable, absurd yet witty, exaggerated yet precise, surreal yet accessible, laid back yet engaging, passionate yet tired, but most importantly Evan is in love with cats making people laugh!!! Evan is overweight according to his cats. Cameron Logsdon (Nebraska): Cameron is a comedian, actor, and writer from Omaha. He likes it there, but travels often. Cameron was selected to be a writer in the NBC Late Night Writer’s Workshop. He was also 4-time nominated Best Comedian in Omaha in 2019-2016. He is currently a cast member and writer in the televised sketch-comedy show Omaha Live! Cameron writes, produces, and hosts a monthly late-night-style comedy show called Late Night at The Backline w/ Cameron Logsdon. He has also delivered a celebrated TEDx talk about teen fatherhood. Samantha Berkman (Chicago): Samantha is a Chicago-based stand up comedian and writer for The A.V. Club TV Show on Fusion. Her weekly stand-up showcase, CAMP: A Comedy Show, was recently featured in Chicago Magazine. Most importantly, she knows all the secrets in Super Mario World. Crystalle Ramey (Charlotte): Based in Charlotte, NC, Crystalle took a comedy class several years ago to overcome a fear of microphones, onset by a debilitating experience on a Middle School talent show that left her running off stage, crying for her mommy. Although she no longer fears microphones, she still confidently cries for her mommy after every show. She produces a comedy tour (www.The22Tour.com) dedicated to leverage the healing power of laughter to put an end to the 22 (daily) military suicides. The tour showcases all veteran comedians and will be 22 cities nationwide. 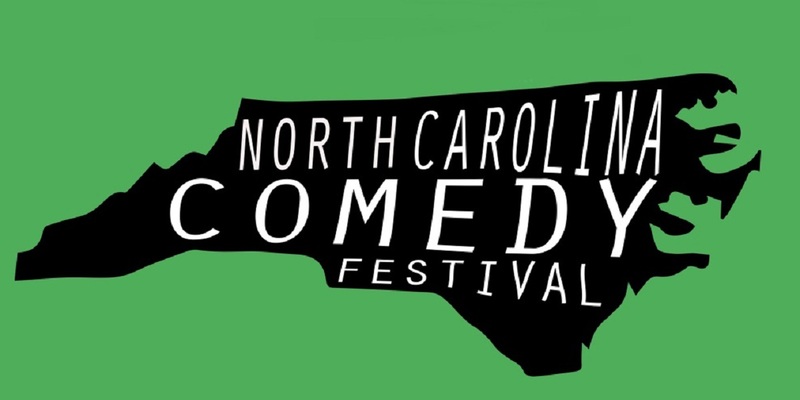 She has also participated in the SheDevil Comedy Festival in NYC and the inaugural NC Comedy Festival. Bennett Brown (Chicago): Fresh out of college, Bennett decided that his Math major would be best put to work in science’s most daring field, stand up. Most of the writers of the Simpsons were Math majors, and like them, Bennett can only express emotions through cartoons and one-liners. Bennett co-runs Madison’s Backyard Comedy show. He regularly performs at Madison’s Comedy Club on State and has opened for Noah Gardenswartz, TJ Miller, and Gary Gulman. In 2018 Bennett performed in the Madison comedy festival, Hoboken comedy festival and won this season of Madison’s Big Diss Roast Battle! Ellen Doyle (Los Angeles): Raised in an Irish Catholic home outside Scranton, Pa- Ellen is a broken adult who uses comedy as a defense mechanism. Don’t be fooled, she’s hilarious! She is sarcastic, dark, yet oddly charming. Sometimes it’s hard to see the red flags because she is so darn charismatic. Ellen’s comedy career has been described as “The reason I worry about you” by her father. She is the recipient of her high schools class clown award which probably means “most likely to be unemployed” award. Ellen received a Bachelor’s of Arts Degree from Cedar Crest College in choreography because that is the funniest thing one can spend money on. She currently resides in Los Angeles to avoid coal miners, snow and people from high school. She has been featured on stages across the United States including, The World Famous Comedy Store, The Laugh Factory, Flappers Comedy Club, The Icehouse, Broadway Comedy Club, Gotham Comedy Club, Cap City Comedy, as we as producing her own show at the 2015, 2016 and 2018 Scranton Fringe Festival. She owns a rescue dog and drives a Kia Sorento.